What makes you happy? Minions? Freebies? Well, how about Minion Freebies? 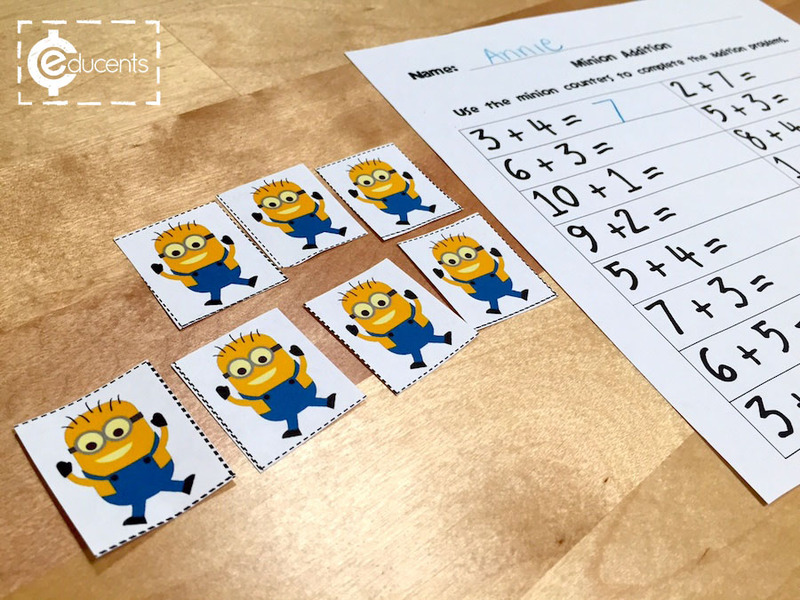 These free math activities on Educents offers 22 printable pages of math activities for Minion fans. It covers addition, subtraction, measurement, money, and more! Don’t wait as it goes away after August 2, 2015. This DVD set from Rock ‘N’ Learn is a fun way to boost math skills for the early grades. Like the Minions, these DVDs have fun characters your little ones will love to get to know! Math facts are easy to learn with fun music and exciting animation. Learn all about counting coins and bills and practice making change. Kids will learn to tell time to the hour, half hour, and minute using traditional analog clocks. Includes Addition & Subtraction Rap DVD, Money & Making Change DVD, and the Telling Time DVD. I hope this math freebie made by Amy of Teaching in Blue Jeans makes you happy. I will introduce this to my grandson He will love it!!! I hope he does, Bella! Minions are the rage and anything that keeps kids interested is great. I couldn't agree more, Sarah! Make sure you grab your copy today. My nephew is a huge minions fan!